Idiopathic subglottic stenosis (iSGS) is a rare and life-threatening disease involving airway obstruction. Given its rarity, a number of options for treatment have been developed. The proposed study will continue and extend the PCORI-funded study in iSGS conducted by the North American Airway Collaborative (NoAAC) to collect objective long-term data on outcomes and side effects. This information is critical to help patients decide on the best treatment. Idiopathic subglottic stenosis (iSGS) is a debilitating airway obstruction involving the upper airway. Both the disease and its treatment profoundly affect patients’ ability to breathe and communicate. iSGS is rare which makes it difficult for any single doctor, hospital, or patient to compare how well different treatments work. To remedy this issue, and pool the knowledge and experience of airway surgeons and patients all over the world, we created the North American Airway Collaborative. One of our first projects was a PCORI-funded study comparing how well different treatments in iSGS work. It has been so successful that doctors and patients see real value in continued research and are excited to work towards a cure. Disease rarity and lack of reliable data limit patients’ ability to investigate and understand their treatment options. This is particularly difficult because some patients may require several surgeries to maintain their breathing. All approaches can have side effects, which can significantly impact the patient’s quality of life and day-to-day existence. Imperfect information and limited evidence on treatment outcomes complicate patient decision-making as patients try to balance survival, symptoms, and quality of life considerations. Reliable information about treatment risks and benefits is critical to help patient make personalized decisions about their medical care. The goal of this project is continued treatment comparisons to determine how well the most commonly used treatments in iSGS work and second, what quality of life trade-offs are associated with each approach. We want to continue to provide the critical information to patients to allow them to answer the questions, 1) “given my personal characteristics, conditions and preferences, what should I expect will happen to me?” and 2) “what are my options and what are the potential benefits and harms of these options?”. We also want to continue to create a large cohort of patients with iSGS so we can begin to unravel the genetic causes for the disease and offer new treatments based on our results. The funding resources would support ongoing database support and maintenance from the NoAAC data coordinating center (Vanderbilt University Medical Center). These funds would support extending our current PCORI-funded trial an additional 2 years. They would allow enrollment of new patients into the cohort, continued tracking of treatmeant outcomes and treatment side effects. The support also allows us to analyze and summarize the results for distribution within the online community of affected patients. iSGS and other rare diseases are often marginalized in healthcare research in lieu of more common diseases, a byproduct of which is that patients can often face long delays in diagnosis. The information provided by Dr. Gelbard's collaboration will provide critical information to patients to allow them to answer important questions about their future. With support provided through this crowd-funding campaign, we plan a seamless continuation of our current trial. NoAAC is a funded, multi-institutional consortium with 40 participating centers in the United States and Europe that works to exchange information concerning the treatment of adult airway disease. It is composed of outstanding collaborators who pursue a unique combination of genetic, molecular, and epidemiologic based approaches to investigate the critical factors underlying the causes and outcomes of adult airway stenosis. 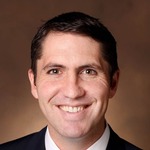 Dr. Gelbard is a board certified Otolaryngologist at Vanderbilt University in Nashville Tennessee specializing in adult laryngeal and tracheal disease. He completed his undergraduate education at Stanford University, medical school at Tulane School of Medicine, and internship and residency at the Baylor College of Medicine in Houston Texas. Dr. Gelbard completed a postdoctoral research fellowship in Immunology at the MD Anderson Cancer Center as well as a clinical fellowship in Laryngeal Surgery at Vanderbilt School of Medicine. He has authored numerous peer-reviewed articles and book chapters and lectures internationally on adult airway disease. 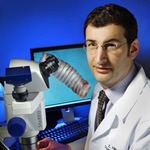 He currently is Co-director of the Vanderbilt Center for Complex Airway Reconstruction (AeroVU). Additionally, he is principle investigator of an externally funded prospective multi-institutional study of idiopathic subglottic stenosis (iSGS), and managing director of the North American Airway Collaborative (NoAAC). 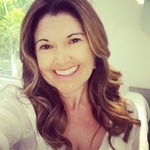 Patient partner Catherine Anderson is a practicing market researcher with more than 20 years' experience in the research field as well as an iSGS patient. As a researcher hungry to fully understand her diagnosed condition, she was disappointed with how little she initially found. In 2009, as social media was beginning to take off, She founded a support group on the social networking site, Facebook; 'Living with idiopathic Subglottic Stenosis'. Gradually membership of the group grew –today there are in excess of 2800 members worldwide. Catherine's role as co-investigator includes refining the study’s research questions and outcomes, as well as aiding in dissemination efforts through her leadership position in the iSGS disease support group. With her involvement in the planing aspects of the study, her patient perspective is deeply integrated into trial design. Catherine has performed groundbreaking work to engage the iSGS community where questions about the "best" treatment are pervasive. She has used the Facebook group as a platform to help understand patient needs, and the patient perspective on therapy and subsequent side effects. In her surveys conducted between 2011 and 2018 she identified large gaps in what patients and providers understand about the disease. Clarity in outcomes is critical to a cure.